It’s common sense to take cuttings from healthy plants. But we gardeners are known for rising above common sense to tackle any horticultural challenge. We can look at a plant with only three leaves left and say, yes, I can save you! On the other hand, if I can’t save you, you don’t really need all three leaves. I can take two of them and make a cutting. I guess I am a slow learner, or a wanna-be Don Quixote because I am always giving longshots a try. Fortunately, taking cuttings is a lot simpler and safer than jousting with windmills. It’s a great big horse race for this little cutting once it’s on its own. No handicaps, please. Stay away from plants with problems, I tell myself. Stay away from plants bedraggled by heat or drought. 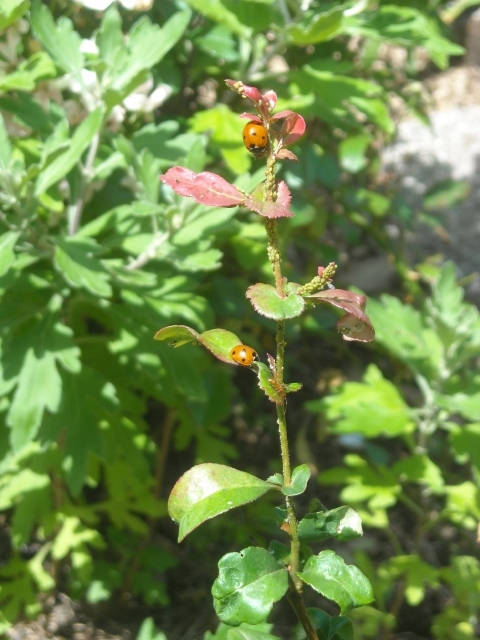 Stay away from plants tattered by insects; they were weak before attack, weaker now. Buy a replacement instead. Now that’s a good idea! Newly purchased plants can be good candidates for cuttings because they come from the nursery well fertilized and ready to grow. I am not talking about those potbound waifs I buy on sale because no sane individual (non-gardener) would want them. I’m talking about a nice plant with nice roots that will have the energy to spare a few good cuttings before we put it in the ground. Taking cuttings from a potted plant, I reason, is actually helping the plant, because the pruning will reduce the shock of transplanting. Taking cuttings after I’ve roughed up its roots and put it in the ground and maybe forgotten to water it is not as successful. Now the plant is fighting to survive. Along these lines, young, actively growing plants are also good candidates for propagation. Young plants are in a hurry to reach maturity, so they grow vigorously. Sometimes we even take cuttings from enthusiastic rooted cuttings before we pot them up. Aged relatives, however, who have tenure in the garden no longer need to speed-grow. They are less desirable as parent plants unless they have been pruned, fertilized, and watered well. Our plants are generally healthy, and since they get moved regularly, some never establish tenure. As a little crop insurance, if the spirit moves in spring, we scatter some N-P-K fertilizer, the cheapest stuff we can get — it used to be three dollars a bag – to give plants a boost. The ground-up prunings and leaf litter that we use liberally as mulch keep plants healthy but quickly decompose as weather warms. A little extra nitrogen replaces what may be lost during decomposition. If rabbits and deer are problems (what is this “IF”?) we scatter blood meal, which is only a short-term varmint-deterrent but is slurped up by plants that love nitrogen. Before we take cuttings we look at the plant. Is it growing vigorously? Is it healthy? This is the kind of candidate we want for cuttings. Droopy droughties absolutely won’t grow new plants. We water before we take cuttings. Not a one-minute cup of water sprinkled on a plant fifteen minutes prior to taking cuttings. We’ve already tried that. Doesn’t work. If there’s been no rain for a while we try to get out and water plants several times during the two or three days before we plan to take cuttings. We are schooled now to observe that shrug of resignation by plants when temperatures hover above 85 degrees for a stretch. They begin to shut down and put all their energy into staying alive. They’re not making much food, so they fall back on their reserves. This is not a good time to expect them to rise to rooting. We’ve tried hot-weather cuttings and learned this the hard way. Exceptions are plants that wake up late in spring and thrive in heat. Best temperatures for taking cuttings are about 70 to75 degrees, with evening temps around 60. Plants grow exuberantly in this weather. The kind of weather we like, too. Early morning, before sun touches the plant and moisture is lost, is the best time of day to take cuttings—and to work in the garden. But the most wonderful time to take cuttings is after a rain when the world is washed clean and plants are glowing. Their stems are turgid (full of water) and wilting of cuttings is negligible. Sometimes we try to get out and work on warm rainy days–great entertainment for the neighbors. 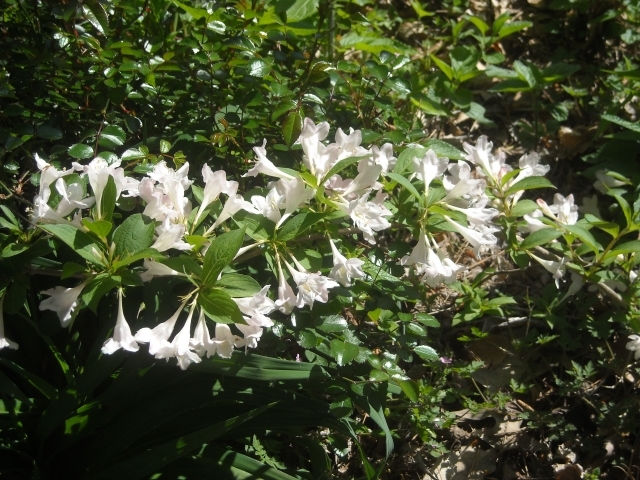 As for seasonal timing, we take cuttings from spring bloomers after they bloom and have put on some vigorous growth that is beginning to harden, usually in June in our southern coastal climate. 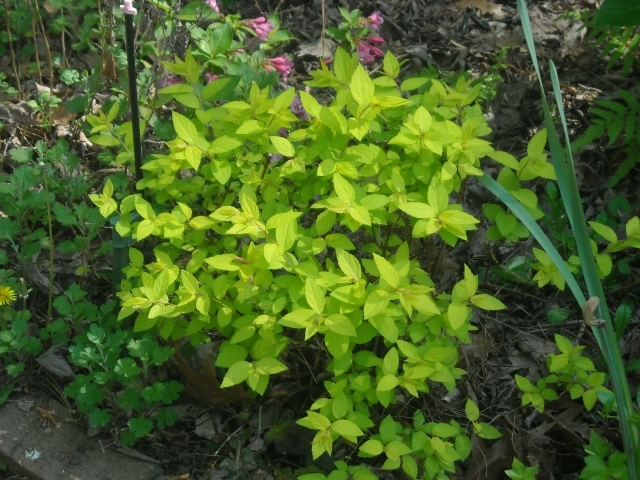 Some plants, like spirea, root best even earlier, as softwood cuttings, when new growth is fresh and pliable. Dates vary, though, because spring is fickle. Fall is a good time for taking cuttings. 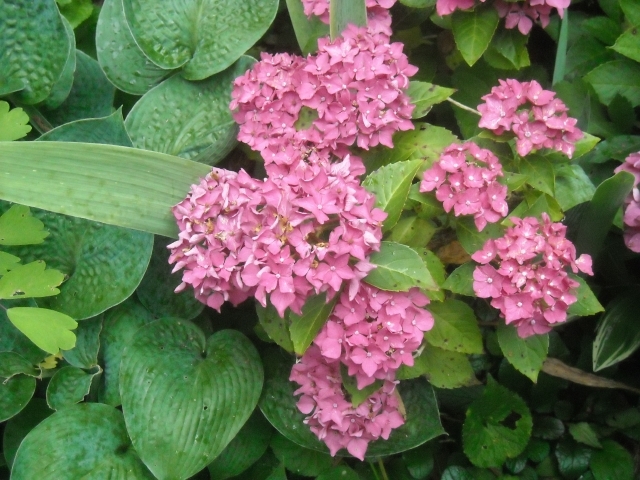 Plants are re-invigorated after summer doldrums and begin to put out new growth. By this time we’ve emptied the rooting bed of spring cuttings and there is space for another go-round. Fifteen years ago we didn’t start taking cuttings until summer and we’d pot them in September or October to give them growing time in mild autumn weather. 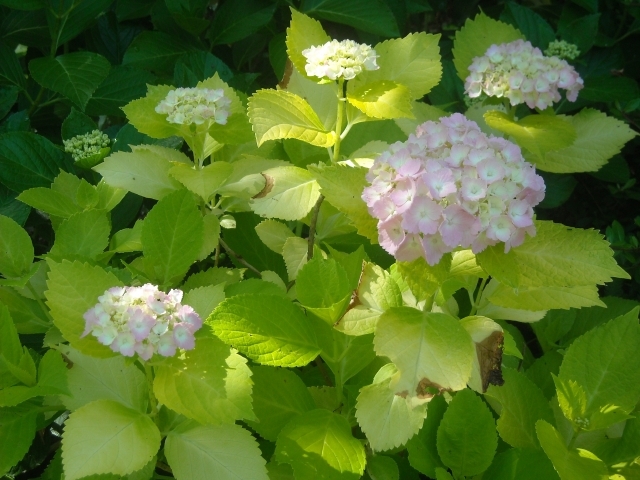 Ten years ago we began cuttings in late May—a bit early for some plants—potted them in July and refilled the beds with hydrangea, gardenias and other summer bloomers. Today, our beds get more sun, so summer propagation is out. Most propagators we know take vacations in July and August. For us, propagating has been a way of keeping us in tune with subtle changes in climate. 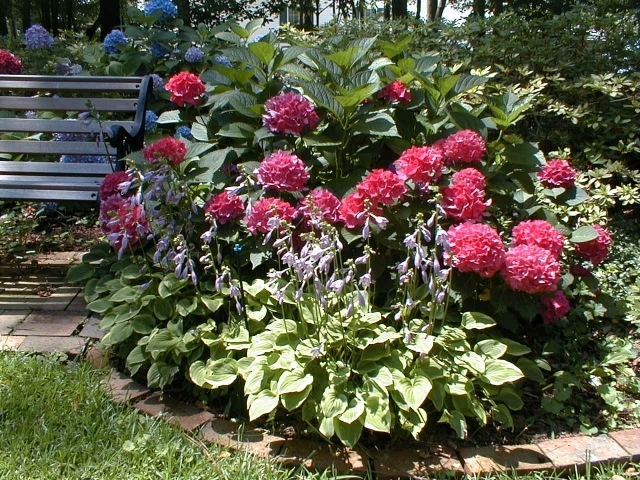 Hydrangeas are easy to root all summer in moist, shady beds with lots of humidity. “Adventitious roots” develop from root initials already present in the stem. Propagators with years of experience know instinctively when cuttings will be successful and when they will fail. Even so, keeping good notes is always advised. We rely on our memories. (No snickering, please!). Our notes are sketchy at best. Even that may be a bit of a fib. Our “notes” consist of plant names and dates written on tags that we put in the bed to identify cuttings. You’d be surprised how much these mixed-up labels from yesteryear can jog the memory. They’re a catalog of wild successes and painful frustrations. 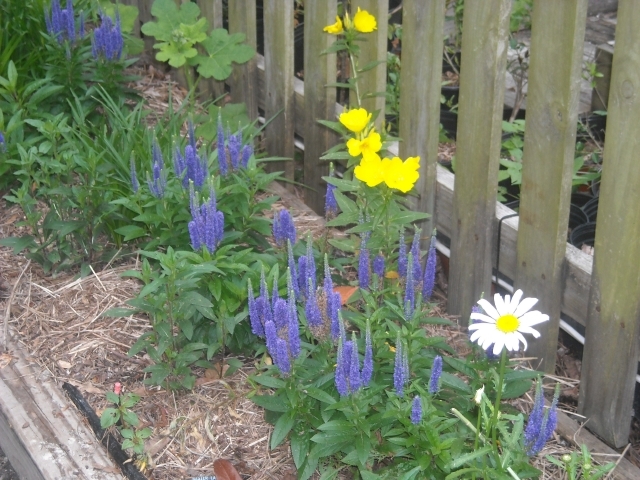 Herbaceous: Non-woody plants like perennials or annuals. 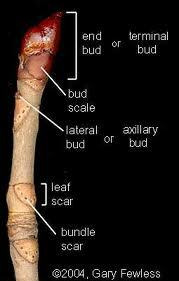 Stems are pliable and break easily. Cuttings root quickly, with good success rate. Many do not need a rooting hormone. If stems bend when pushed into the rooting media, holes should be made with a pencil or dibble to avoid damage to cutting. Soil should be lightly firmed and cuttings watered in to remove air spaces. Softwood: New growth on trees and shrubs, usually green. 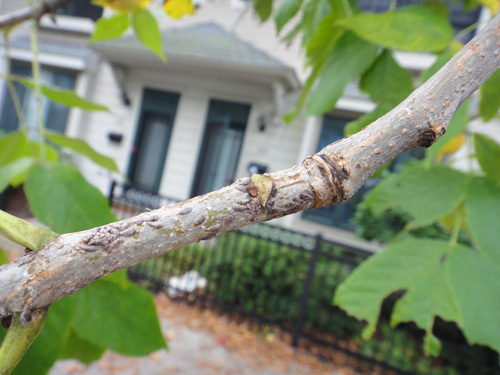 Stems are easily bruised, will snap or curl when bent, and leaves can wilt quickly. 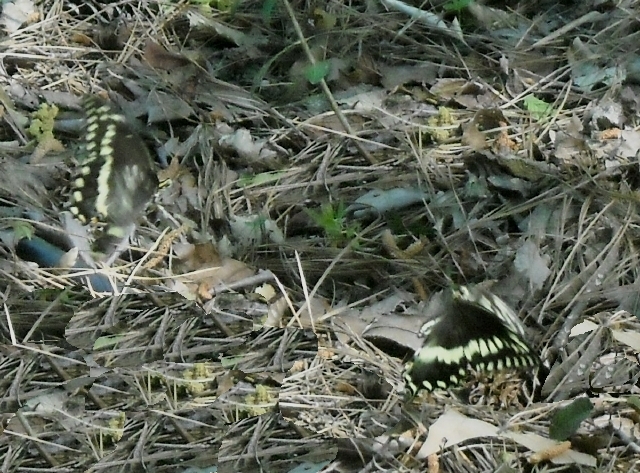 We look for this new growth after spring leaf-out and during the fall growth spurt here in the south. 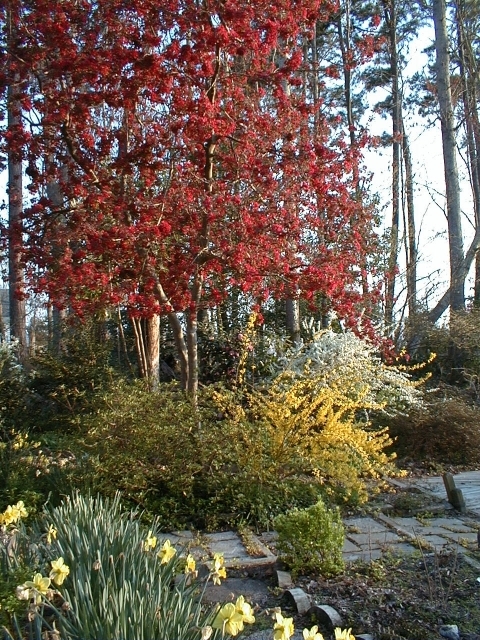 Softwood cuttings of spirea and quince root fairly easily in early spring. We take small cuttings, usually just two or three leaves from along the stem, not the tip, when plants look vibrant and are actively growing. Stems are still succulent enough to absorb water quickly from the rooting media, and they rarely wilt if handled quickly. However, growing tips may still be too soft, with little food stored, to make good cuttings and may wilt within a few days of sticking. Softwood cuttings usually root quickly, in a few weeks. 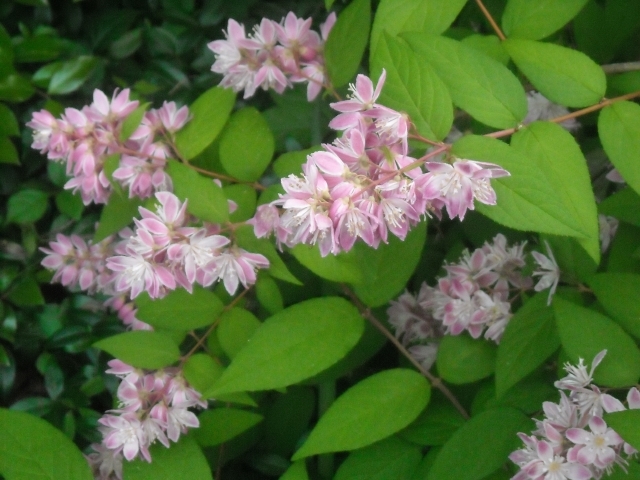 Follow directions for herbaceous cuttings when sticking softwood cuttings. Ripeness increases as you go down the stem and as the season progresses. They take longer to root but can be taken any time during the growing season, barring extreme heat. They can be direct stuck, no pencil holes needed. Any deciduous or evergreen plant is fair game, though some plants will never grow from stem cuttings. Most of our experience is with semi-hardwood cuttings. These cuttings will remain in the bed for several weeks. If media is too moist, they can be prone to stem rot or inhibited root growth. Sometimes healthy cuttings lose leaves. If stems look good, we give them more time, hoping to find a surprise of new leaves. To orient direction of a hardwood cutting, it’s helpful to know a little botany. Buds for next spring always grow above leaf scars formed when spent leaves drop off. Hardwood: Hardened first-year-only wood from dormant leafless plants taken any time in winter. Don’t choose wood that is low on a branch, beyond the thickening, or ring near a leaf scar. Cuttings can be stuck in prepared trenches in the ground. Callus (bulbous thickening of the stem) will form by early spring followed by rooting in warm weather. 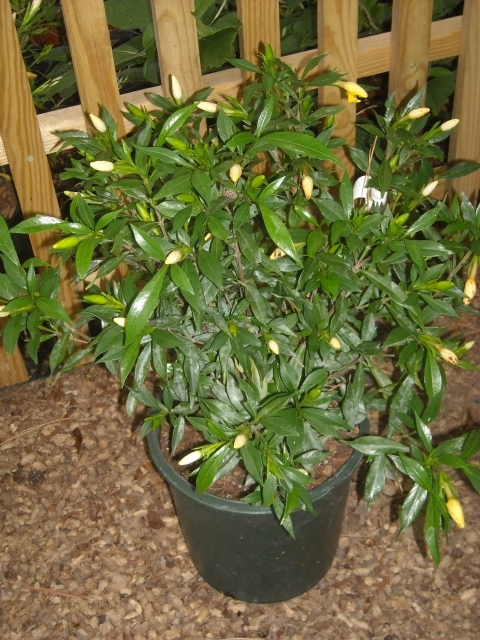 Plants may be potted in fall or planted in the garden. Sometimes it is a challenge to remember which end is up on a cutting with no leaves. Leaf scars and buds for new growth are clues to orientation. Buds should reach to the sky. We have little experience with hardwood cuttings, but disappointing results with semi-hardwoods during unusually hot summers when we saw newly potted plants succumb to high temperatures, deluges from tropical storms and deer nibbling are causing us to rethink. 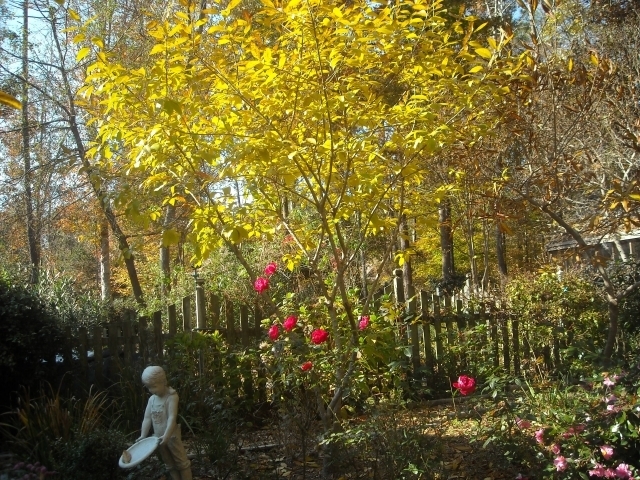 Early winter is a lovely, quiet time here in the south, when the garden envelops us in gold, crimson and russet. Why not enjoy the cool weather and the soft wintry light and take hardwood cuttings to give plants a head start next year? We will have to decide if we have the patience to dedicate real estate for so long a time before we see results. Space doesn’t allow us to give specific guidelines on propagating individual species. Experimentation has been our best teacher. We have successfully–and unsuccessfully–violated instructions on the few short lists we’ve read. Talking with other propagators is always fun and a real help. We do whatever works for us. We like the references below for their advice, though we sometimes disagree with them. Many websites offer good basic information. Enter Propagation by Stem Cuttings into your browser. Successful or not, we never forget that our homegrown efforts at propagating plants for fun is an unpredictable art that gives us pleasure in unpredictable ways.